Under the current resolution draft, parts of the Massacre Rim wilderness study area would be reverted to open space Bureau of Land Management land. A wilderness designation is the highest level of conservation protection possible under federal law. Currently, Washoe County has about 600,000 acres of wilderness study areas— that’s land that was set aside decades ago to eventually be considered for a permanent wilderness designation. To merit a wilderness designation, the land area must “be over 5,000 acres in size, secondly, it’s got to be predominantly natural,” said Kirk Peterson, with the Nevada Friends of Wilderness. Wilderness areas are managed by the Bureau of Land Management, and the public is allowed to hike, camp, hunt and canoe there. People can also graze cattle and mine on pre-existing claims. Motorized vehicles such as ATVs are not allowed, though visitors and ranchers may use existing roads. The resolution Washoe County has drafted will ultimately ask Congress to permanently protect about 40 percent of it’s wilderness study areas: it would convert about 174,000 acres into permanent wilderness and turn about 83,000 acres into National Conservation Areas. “We can’t sell that land, it’s not in our disposal boundary, it’s BLM open space, so if you recreate there, if you hike and you camp and you hunt in those areas, once it’s released, you can still do that,” said Jamie Rodriguez, the Washoe County government affairs manager who is spearheading the bill. The Massacre Rim wilderness study area contains significant quality sage grouse habitat. But it does allow for some development on the land. 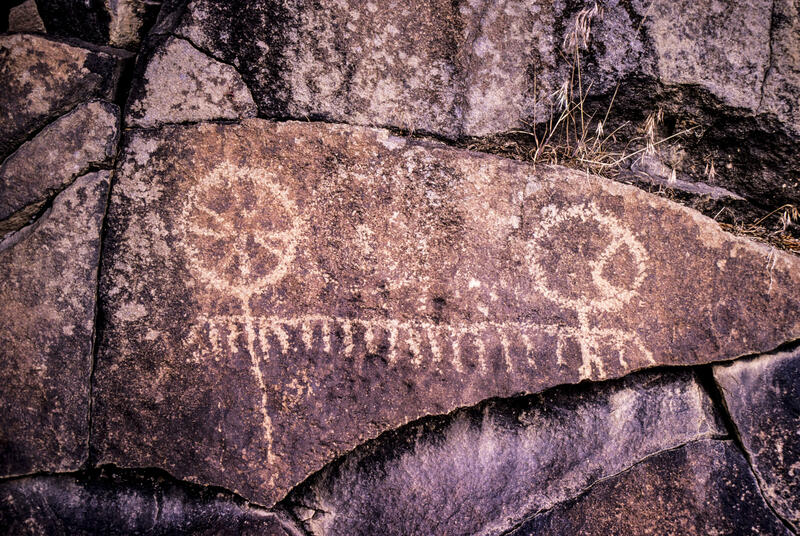 Shaaron Netherton, executive director of Friends of Nevada Wilderness said this habitat is critical for wildlife and archeological value such as petroglyphs. Her group has worked with ranchers and other stakeholders to protect it over the years. “We don’t understand what you’re proposing, why you’re proposing it, why are you doing this so fast, we want to be involved. One area she is particularly concerned about is in the far north part of Washoe County, near Oregon. The 100,000 acres in question borders the Sheldon National Wildlife Refuge and is home to pronghorn, mule deer, and sage grouse. The area has been largely untouched for decades. “This is some of best sage grouse habitat in the country. And one of the reasons is the fact that there hasn’t not been lot of habitat fragmentation. There’s not been mining up there, there’s not been oil gas leasing,” said Netherton. That’s mostly because the area doesn’t have anything valuable for extraction. It’s also because it has been protected as a wilderness study area. In fact, that designation ultimately stopped the Ruby pipeline— a massive oil and gas transmission line — from being routed through. But Netherton says with the growth of wind and solar energy there will be pressure to put in power lines. “So I think the best way to protect that whole habitat up there— that’s so important for the migration of wildlife, sage grouse and everything else— is it’s easier to protect it when still in excellent shape,” said Netherton. 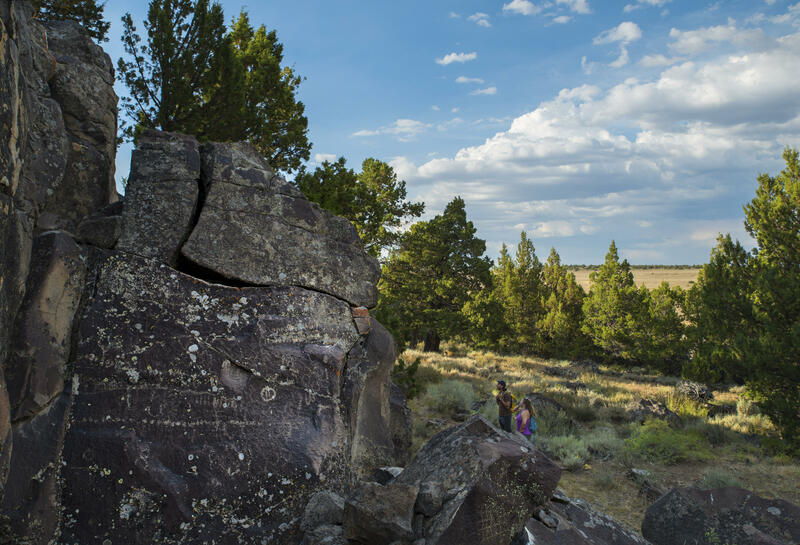 Some of the wilderness study areas contain petroglyphs, like this one in Massacre Rim. Now to be clear, if the land were to be released from a wilderness study area it will still be federally managed, but it becomes becomes open for multiple-use purposes. That could include building fences and watering ponds for cattle; driving motorized vehicles; constructing transmission lines; or developing mines or geothermal plants. Some argue that the land would benefit from having more management options. For example, some other sage grouse habitat areas are experiencing encroachment from juniper trees, which are crowding out the sagebrush. Yet many juniper removal techniques require vehicles. “Sage grouse require higher management, so creating that wilderness now restricts that ability to do that more intense management,” said Rodriguez. Rodriguez has the complex and politically loaded task of drafting a proposal that satisfies the needs of ranchers, recreators, developers and conservationists. This lands bill doesn’t just affect remote Washoe County. It also proposes to open up federal land north of Reno and Sparks for private sale, with the goal of increasing affordable housing. A whopping 170,000 acres are on the table. The proposal is still open for public comment. Washoe County representatives expect the resolution may be voted on early next year; it would have to pass the county, Reno and Sparks, before it would be forwarded to the Nevada delegation. Then Nevada senators and representatives would draft a bill they would have to work through Congress, as only Congress can legislate changes to federal land. 2017 was the hottest year on record for most of Northern Nevada. And while the warmer weather has created complications across the region, nowhere may be as impacted as Lake Tahoe. The delicate ecosystem of the continent’s largest alpine lake has been under assault for decades from invasive species, algae growth and decreasing clarity. But area leaders are now concerned that wildfires may pose an even greater threat to the lake. Engineers have been testing out a new method for killing off invasive aquatic plants in Lake Tahoe using ultraviolet light — and the results are promising. Our contributor Annie Conway of the Northern Nevada Business Weekly reports.